This is a series of short 3 minute meditations perfect for when making a cup of Noble Leaf. Try this mediation to awaken your senses and allow yourself to truly receive a cup of tea. Measure the tea leaves into your infuser or pot and notice the colour, the size of the leaves and also the twists and texture of the leaves or the fur on the buds. Listen to the sound of the water heating up and how it changes as the water starts to bubble. When it reaches the correct temperature, listen as you pour the water into your cup or pot. Watch as your leaves start to ‘dance’ as the water hits the tea and if using a glass cup, see how the leaves move and uncurl and colour changes as the tea steeps, if not then watch the sand drop in your timer until the steeping time is up. As soon as the steeping time is up, remove the infuser from the cup or pour the tea and listen as the water filters through the infuser or pours out of the pot into your cup. When at a temperature to drink, pick up the cup and notice the colour of the tea and take in the aroma as you move up towards your mouth. Take some deep breaths and really digest the scent of the tea. Now take a sip and really taste the various flavours of the tea. Continue to drink your tea and before each sip, take a deep breath and really consume the tea one sip at a time. If a thought enters your mind, don’t focus on it just observe and let it go and then focus back on the tea. Tea is a wonder to behold. The majority of tea comes from just one plant, Camellia sinensis, and this plant produces black, green, white and oolong tea. 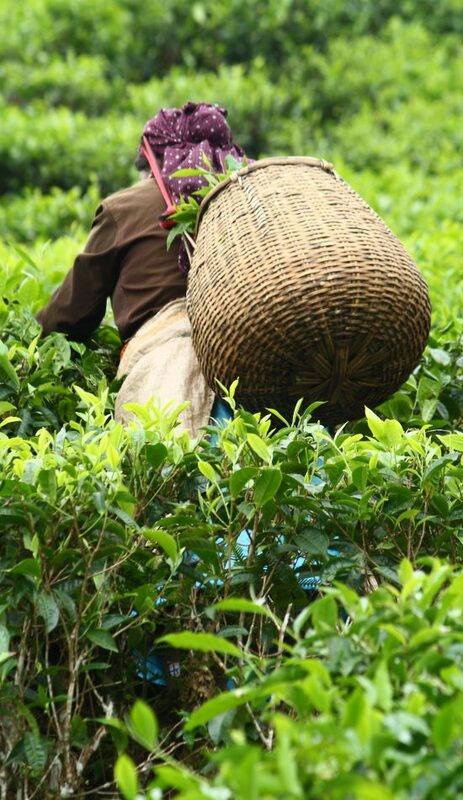 The tea varies in flavour, like wine; depending on where it was grown, the time of year it is picked, what has grown near the plant and how the tea is processed. Tea is often grown at altitude so it grows slower, creating more flavour. It is this humble plant that we will focus on in this mediation, and those who grow, pick and process the tea and we give sincere gratitude for each and every cup! Measure the tea leaves into your infuser or pot and notice the colour, the size of the leaves and also the twists and texture of the teas or the fur on the buds. Look at the leaves left in your infuser and look at the different sized leaves and think of how they slowly grew on the mountain side, absorbing the warmth from the sun and being hydrated from the mist and the rain. When the tea is at a drinkable temperature bring the cup up to your lip and breathe in the aroma and take a sip. Be thankful to those who looked after the tea plant, hand picked the leaves and carried the leaves on their back to be oxidised and rolled. 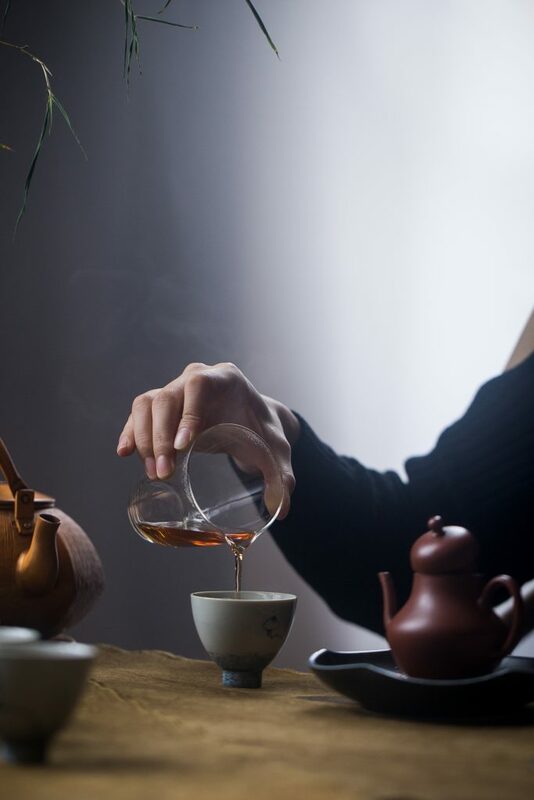 Think of those who carefully prepared your leaves and then tasted a sample from the flush of tea and the enjoyment they felt when they could taste their beautiful tea. Continue to drink and be mindful of each leaf picked to make that one cup. A cup of tea can calm your nerves, relax you in a stressful situation or wake you up from your morning slumber. This meditation focuses on the tea as you take a sip and how it makes you feel. Continue to watch the tea and if there are bubbles on the surface of the cup, watch as each bubble bursts. 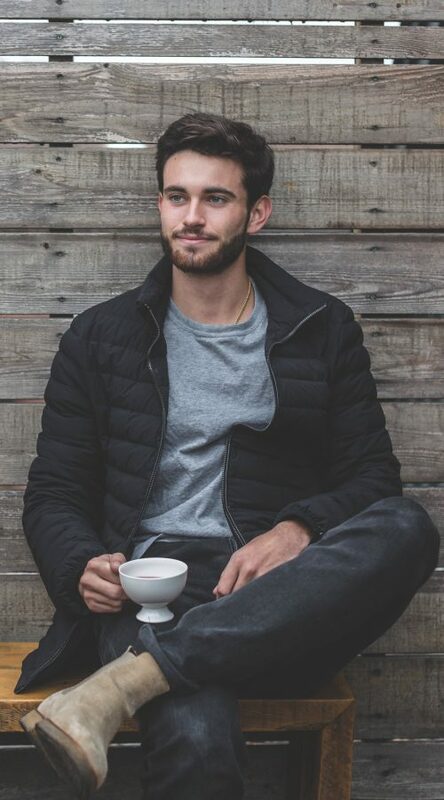 When the tea is of a drinkable temperature lift the cup to your nose and take a deep breathe, taking in the aroma. Take your first sip and feel the heat of the tea, first on your lips then in your mouth. As you drink, notice the heat of the tea go down your body and into your stomach. Imagine the tea as an energy source, filling you with light and strength from the inside out. Imagine how that light can reach other parts of your body, starting from your stomach and down to your toes and notice how it fills your body with energy.